Hi and welcome to Tuesday Cuppa Tea. Surprise, surprise, a bit hectic around here....surprise company from out of state, a few last summer jaunts around and even some family again. But the more the merrier!!! I hope your summer is winding down nicely and you are enjoying the Labor Day weekend...sort of the last hurrah for this summer. Some of our schools are back in and some will be on Tuesday...amazing....as this posts...hopefully...we will be in Victoria, BC Canada where we are meeting Canadian friends for a long weekend...but more of that later! Dawn is about to break at South Carolina's Halliehurst Beach, and the members of Charleston's Sea Turtle Protection League are taking part in the annual "turtle crawl." As they help hundreds of tiny green loggerheads tumble safely into the surf, the dedicated volunteers congratulate themselves with a well-earned shore breakfast. But as the tea steeps and the gumbo simmers, a strange mass is spotted floating off-shore. Donning mask and swim fins, Theodosia paddles out to investigate, only to discover a dead body bobbing in the waves. The hapless victim turns out to be Harper Fisk, a prominent Charleston art dealer and passionate collector of Civil War antiquities. Rumors of sunken treasure and gold bullion have abounded, yet nothing has ever been found near Halliehurst Beach. But now Theodosia begins to wonder--did Harper Fisk finally stumble upon something? And was he killed because of it? 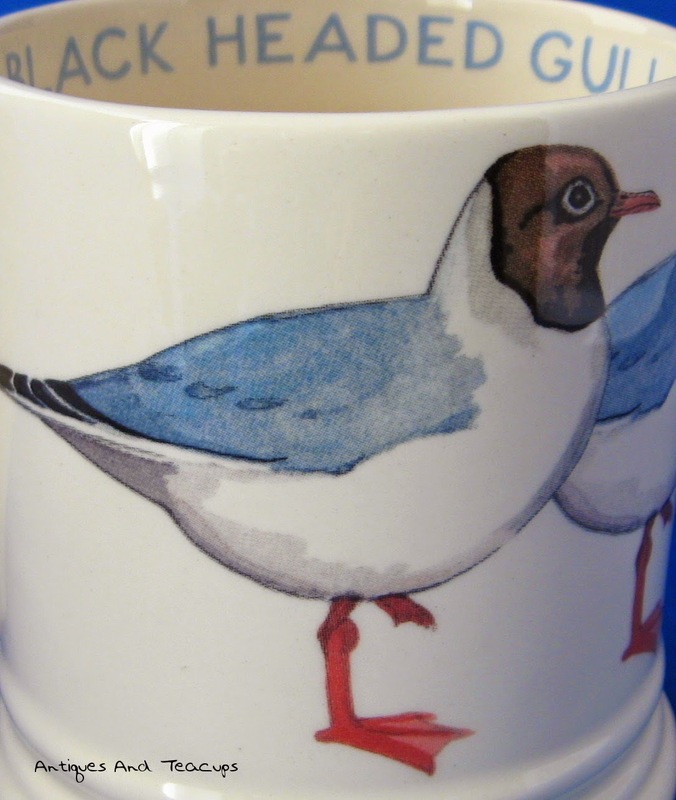 I first got hooked on Emma Bridgewater because of her name being the same as my English grandmother. She was first covered in Victoria magazine in 1989 I think, and we began then visiting her pottery in Stoke-on-Trent on each yearly English visit. Love her things! I am glad to report she is still successfully making her pottery, all in England. Brilliant, Emma! The other part of my tea post is the Cranberry Cove tea tin...I have several...that were included in tea packages of the named Celestial Seasonings tea in the 1980s. I keep them on the counter stocked with the appropriate tea. Cranberry Cove seems to be a New England thing, but actually one of the largest cranberry bogs is on the Pacific Coast in Bandon, Oregon. We used to holiday there frequently when we lived for several years in Ashland, Oregon. 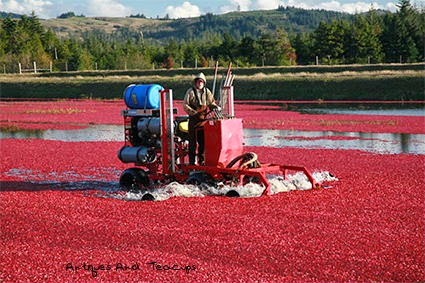 Here is a picture we took of a cranberry harvester at work. They have a large annual Cranberry festival which is quite fun to visit...cranberry everything you can think of! 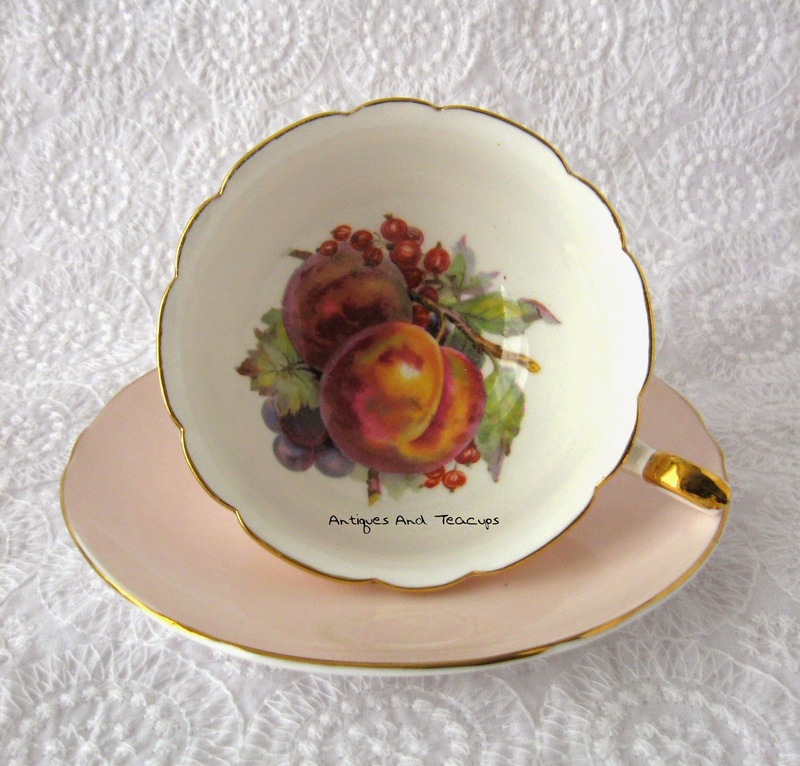 I hope you are enjoying a wonderful fall Teacup Tuesday. It has been typically coastal here this week...veering from the low 80s....summer for us...to the 50s when the coastal marine layer is sucked in by the heat. But that's why we love it here...like Goldilocks, we can say "Not too hot, not too cold, just right!" Fall here in the Pacific Northwest is really my favorite time here. Lovely! 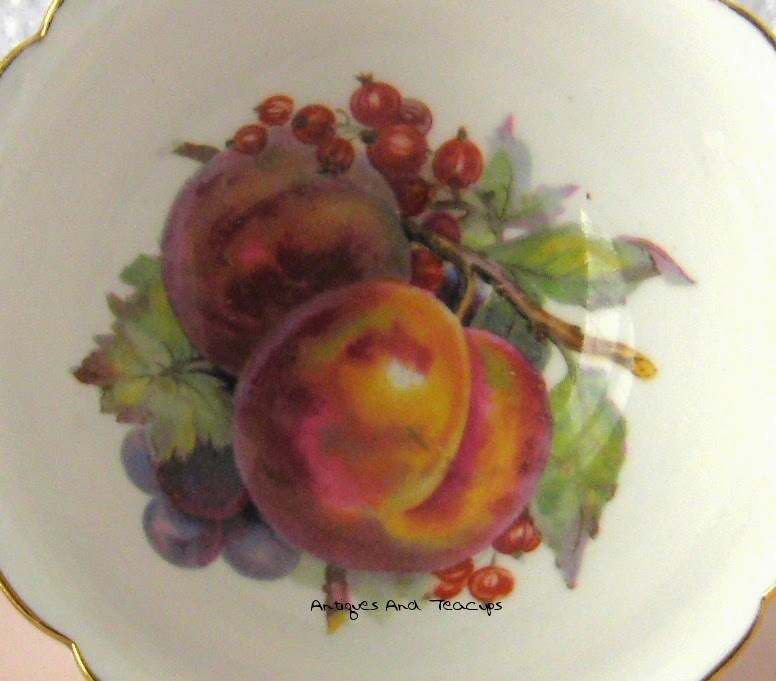 I have chosen a fall themed teacup in a pattern called Fruit Center by my favorite Shelley China, England that was only made the last 3 years the company was in existence from 1963-1966. The shape is called Boston, and I love the blushing pink color! Among Shelley collectors, there is an ongoing discussion as to whether the fruit is apples or peaches along with the grapes and currants. Living in a state famous for our apples, I tend to side with the apple faction, but it's not clear at all! What do you think??? 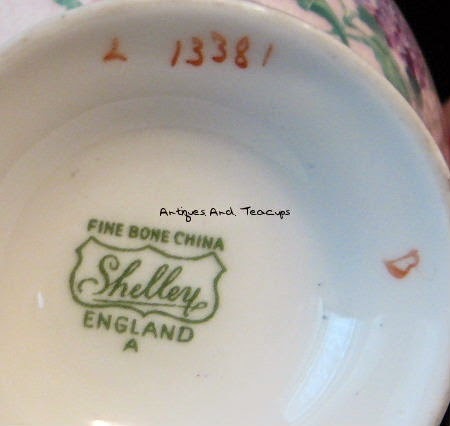 The pattern number is 14208, which is why I know when it was made, as it is listed in the Shelley Pattern books. the slash after that number, and the following 39, means that is was made in more than one exterior colorway, and 39 designates blush pink. 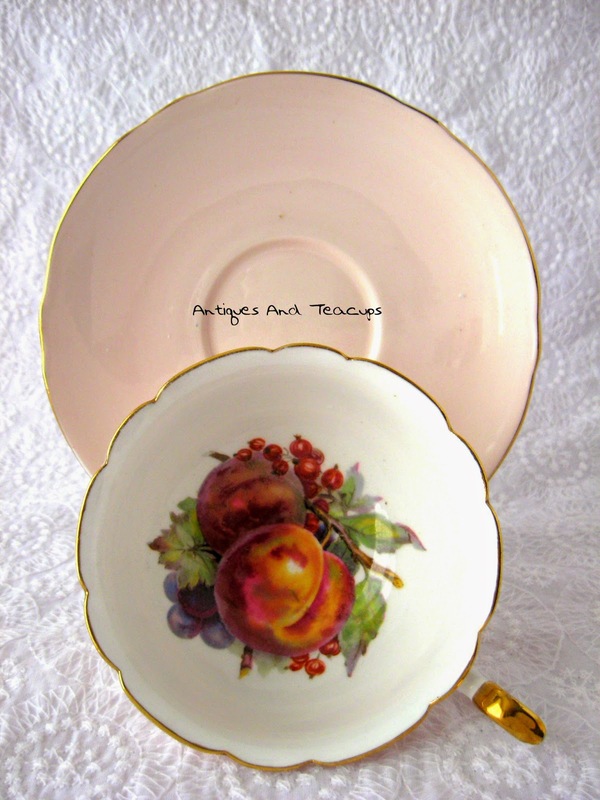 F or more info on the pale pink Fruit Center teacup at Antiques And Teacups, click on the photos. Speaking of fall and fruit, I was visiting a past September/October issue of Victoria Magazine which is a favorite thing to do as I have my afternoon tea in our sunroom. I loved the apple pie on the front...doesn't that look delicious? And inside I enjoyed the fact that there were many articles about England which is my second home. But there were also great articles like the ones above. The top was part of the ongoing Touring section and features the Inn At Montchanin Village in Delaware. I was taken by the lovely display of transferware. The bottom photo is of the pages titled The Flavor Of Fall and featured many great recipes. I have made so many from my collection of Victoria...some are family favorites and made often. A few weeks ago on a day out, we drove to the little town of Quilcene on the other edge of Olympic National Park from our side and found a neat little shop called The Picket Fence. Nestled in the Olympic National Forest just off Highway 101 it was such a pretty site for a shop filled with lots of vintage and hand made items by local artisans and lots of bird items. The photo above is the totally deformed a bent over trunks of 2 living cedar trees that they are suing as a side for their flower bed. Amazing! It was a great stop! They even have a website which is fun! The Picket Fence. 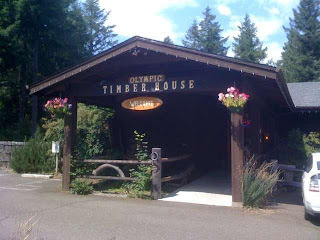 We stopped for lunch at the Olympic Timber House restaurant in Quilcene which we had passed a million times but made a point of stopping today. It has a great reputation and ambiance. Built by loggers over several years in the 1940s...the bar was built first and the rest was built after drinks following their days work...the restaurant features elegant yet rustic decor. I especially like the tables which are log slabs and the bases which are branches. And the food was excellent!!! 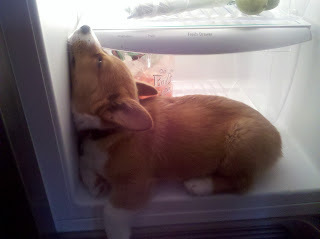 And lastly...and I have posted this before, but...my daughter has a do sitting business and sent us this photo of one of her charges, a Corgi puppy that was having trouble with a recent heat wave and climbed into the family room floor drinks fridge. Our daughter had been told the puppy loved it, so she let the puppy stay and cool off. 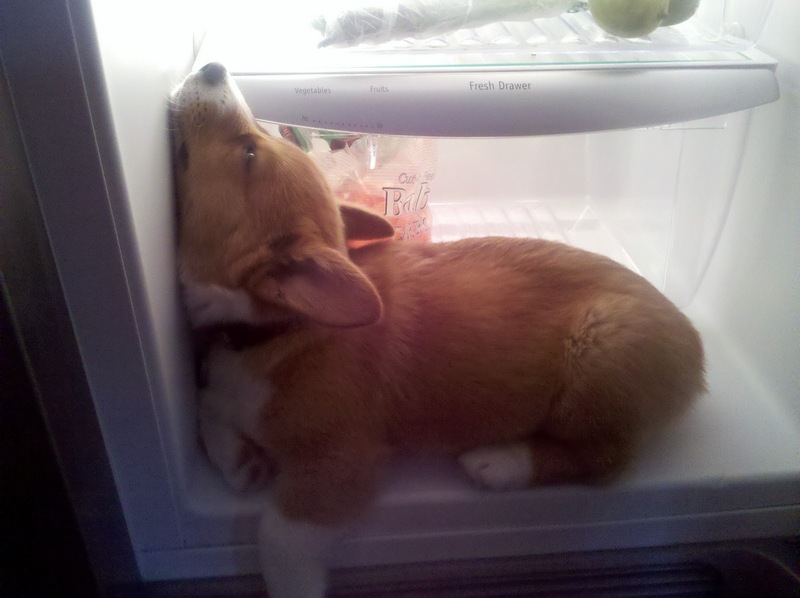 The door won't shut because the puppy is too wide & it's a mini fridge so that was no worry. 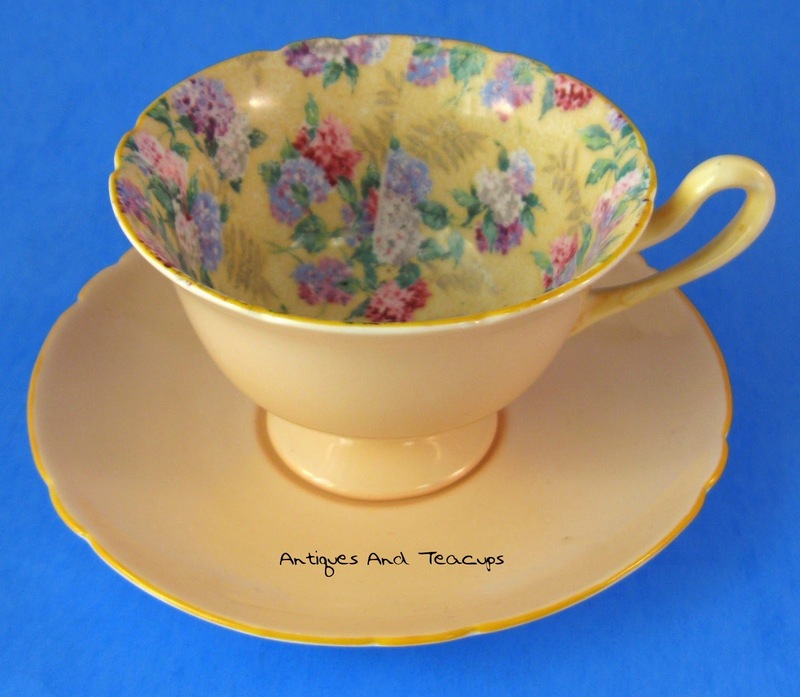 I hope you can join the linky below with a tea related post. Remember, it is SSLLLOOOOOOWbyt it does show up! I would love your comments, and will reply, but for the next couple of weeks I will be slow, as we are visiting, being visited and generally enjoying the best season here...fall! Have a great week! 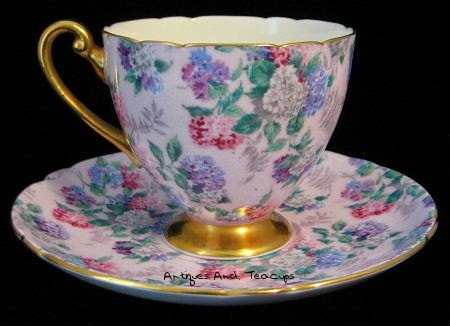 Hello and welcome to Tuesday Cuppa Tea at Antiques And Teacups. It has been summer here...beautiful temperatures, and lots of fun things happening. 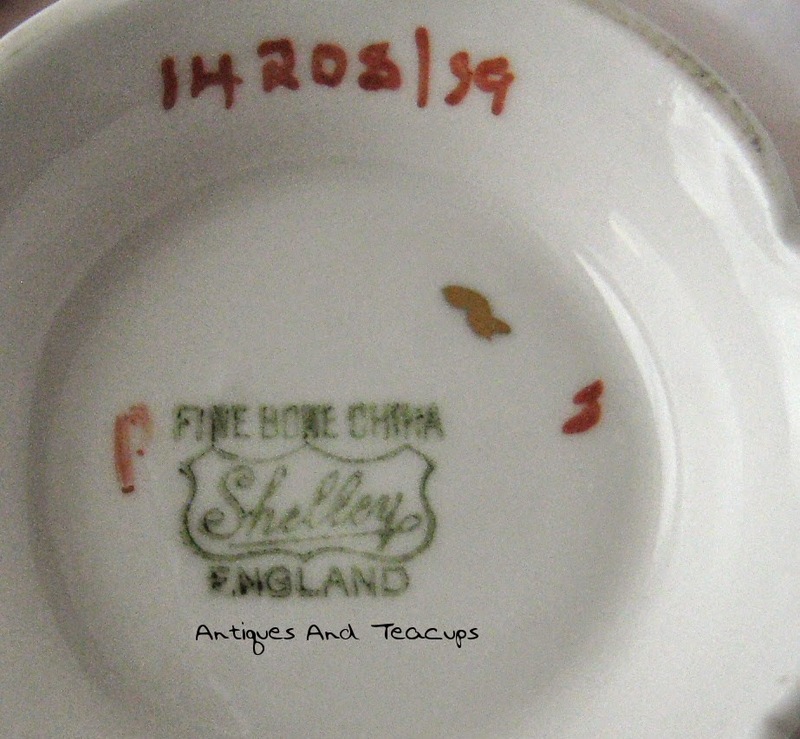 So there you have my teacup and some information about Shelley China. 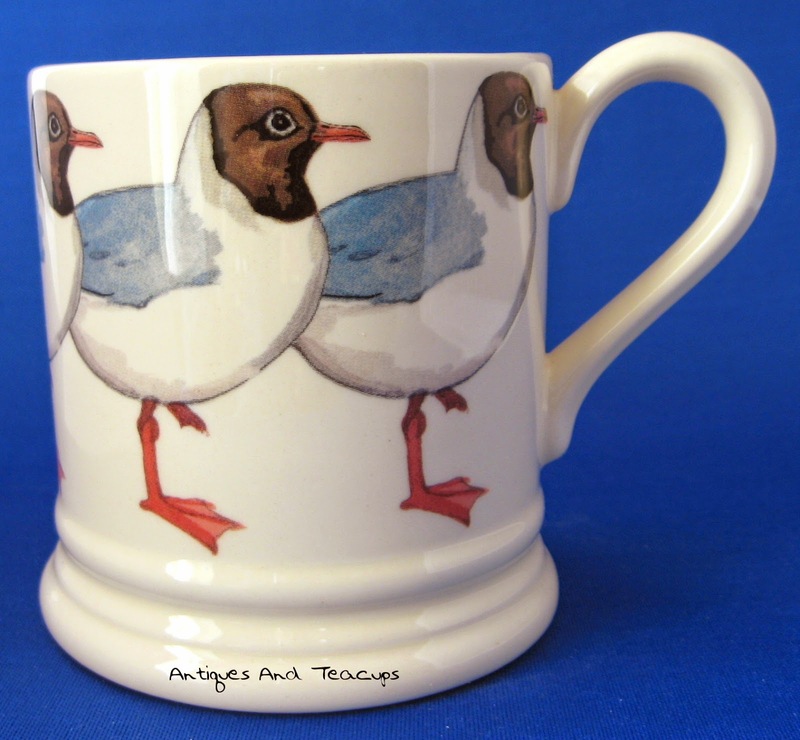 For those of you who don't know, the pottery closed in 1966 and has been greatly missed by thousands of collectors! 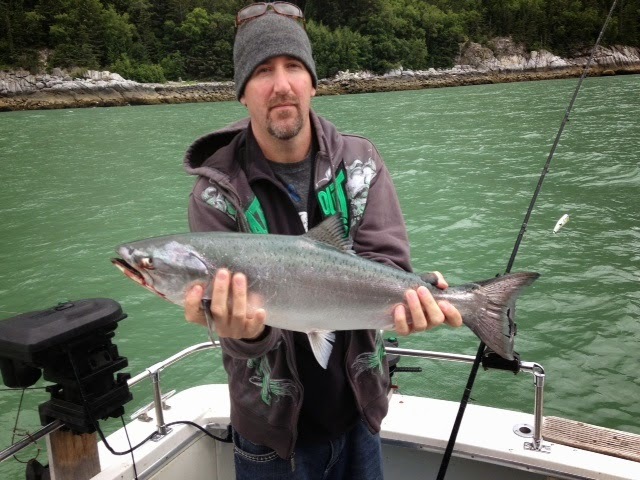 This is our son, the fishing fanatic, with a 30 inch salmon in Skagway. He and the two boys took a day of salmon fishing and had a great time...and no rain! 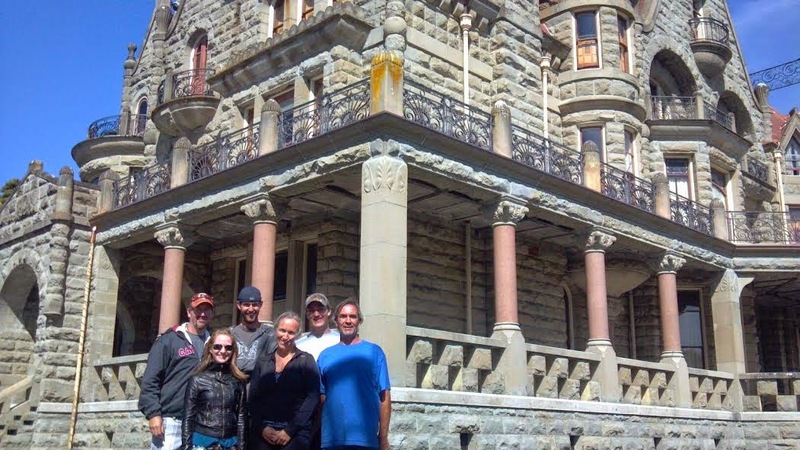 And this is the group at Craigdarroch Castle in Victoria, BC Canada where we were for a day. They rented mopeds and buzzed all over...needless to say, the 2 of us old wrinklies didn't go with them! Craigdarroch was built in the 1890s by the lumber baron Dunsmuir family. So...a great time with the family! Thanks for joining me! 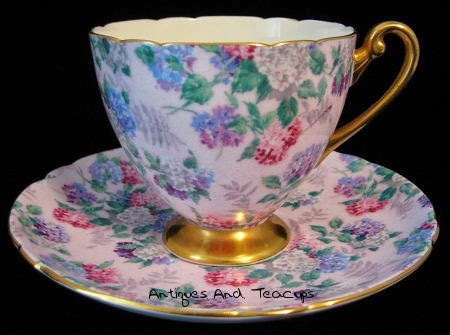 Here is the linky for Tuesday Cuppa Tea to link your teacup and tea related posts...please remember it is SSSLLLOOOOOOWWW but it does appear! I love to hear from you. Hope you continue to enjoy what's left of your summer! I originally had this scheduled for last week while we were out of town with the kids & grandsons...but it never published!!! Don't know what I do incorrectly, but...anyway, here it is a week late! Hello! 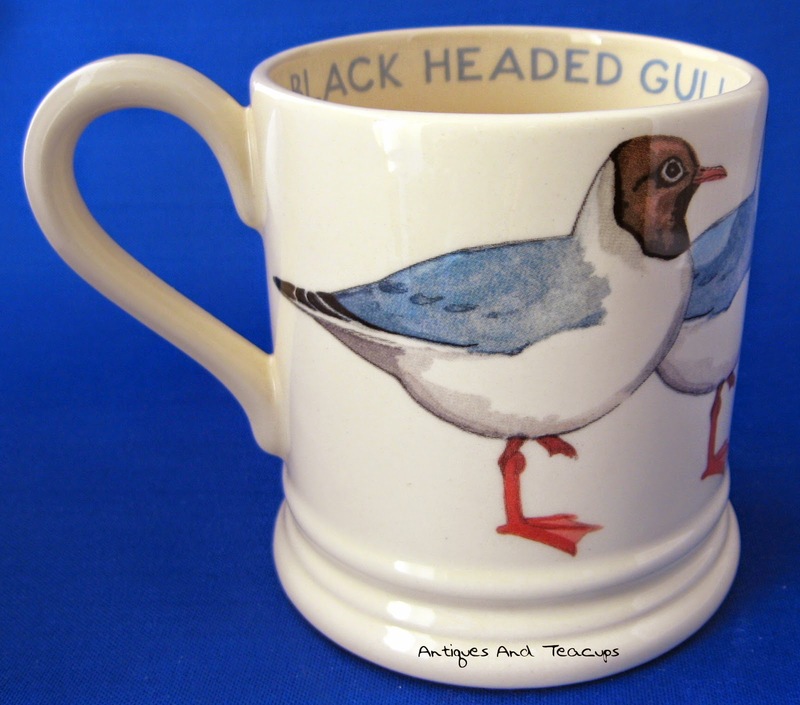 It's time for Tuesday Cuppa Tea! Because I we are spending time with our son, daughter, their spouses and a grandson from each family this week, I am attempting to schedule this post. The post is a flash back to August of 2011. Many have asked how I started loving vintage things, and this explains it! This is my grandmother, Emma Bridgewater, who began and fostered my love of antiques and Victoriana. 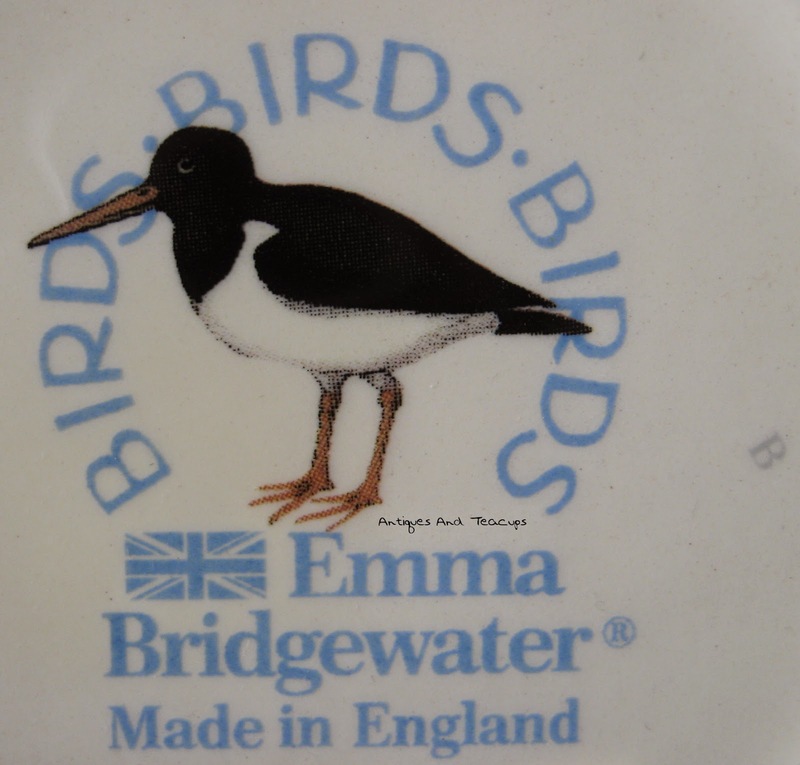 Yep...her name really was Emma Bridgewater and she was born in Leicester, England in 1881. She was born Emma Rice (unlike the potter Emma Bridgewater who was born Bridgewater and married a Rice!) and remembers going in a carriage in 1897 when she was 16 to watch the village roasting oxen on the green to celebrate the Diamond Jubilee of Queen Victoria in 1897. She couldn't attend because she was just recovering from scarlet fever. The photo above is Emma participating in a play at age 18 as part of a dramatic society she belonged to. I inherited her curly hair...and a few health problems as well, by that's by the by. ANYWAY, it was growing up listening to her memories of Victorian England while we had our afternoon tea that formed my love of the period. Then, when I was 16 she gave me her teapot and teacups. I have an older sister who was offered them first, but she was into Danish modern so I got all the family Victoriana. Yippee!!! This is one of the teacups I received from my grandmother. 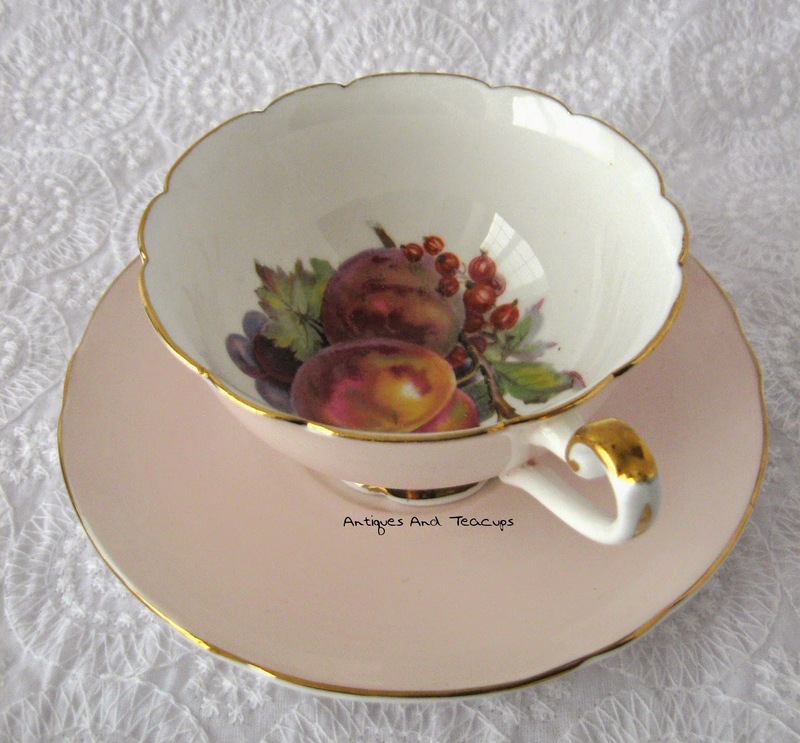 The design is sn ethereal watercolor of swans and was made in Germany in the 1880s. It has a crack and a chip, but I treasure it! 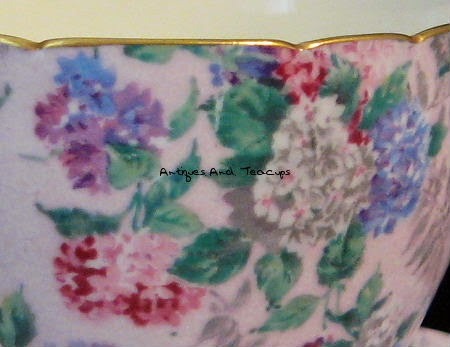 This is another of my grandmother's teacups that I treasure. 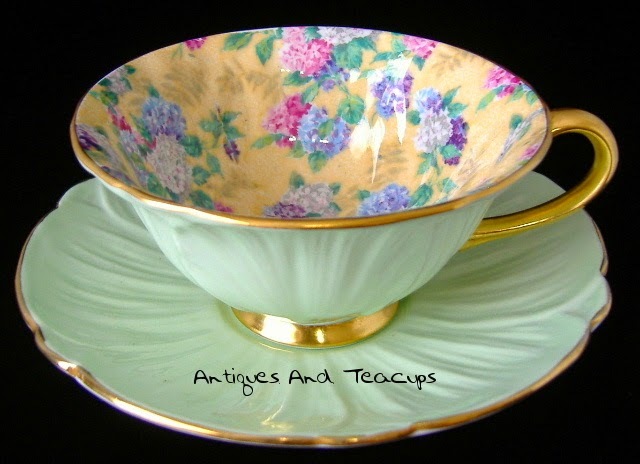 This is a Haviland, Limoges from the 1880s that is just beautiful and is a Victorian and Art Nouveau design, all hand painted. In the top photo of the hair locket I inherited from my grandmother as well that is hand made and hand engraved and originally had a lock of hair in the back covered with an eisenglass window. After marrying George Bridgewater, another Englishman in Leicester, England, Emma became a nurse and decided that the hair was unsanitary and removed it. It is one of my favorite momentos of her and I wear it often. So there are my teacups. I do hope we survive the week with the 23 year old and 18 year old grandson...and our son who is usually referred to as the Activities Director! We have been phoning and texting around the family trying to set up what we are going to be doing...I guess he gets his organizing from me! Lol! Here is the linky. Please be PATIENT because it is SLOWWWW but it works.